Yes, I am lucky enough to attend THE Ohio State University. OSU holds the title of the third largest college in the United States, but more importantly, we are home to the Buckeyes. 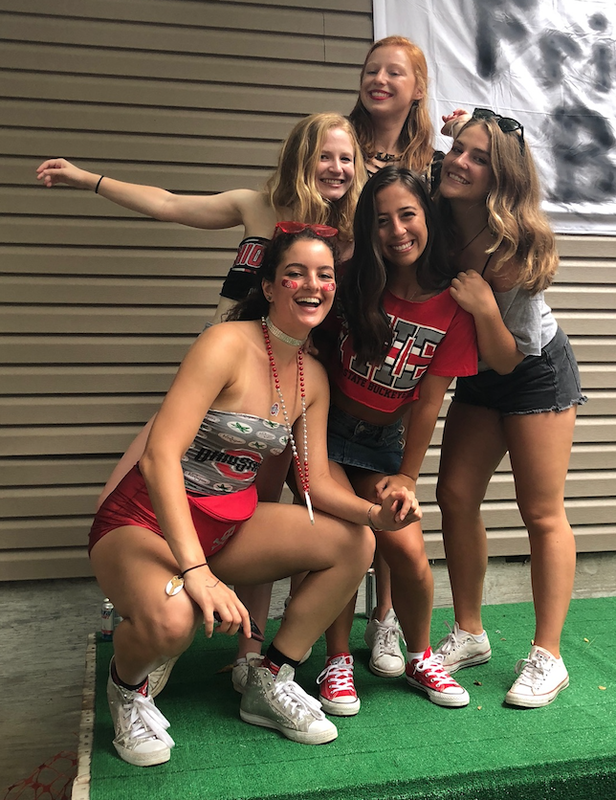 Every game day is like Christmas to students because we get to party with our friends and watch our favorite team play. Check out these 10 rituals you can expect to see at every Ohio State football game. My personal favorite, block, a term students use to imply tailgating for students at frats or students’ houses off campus. To people unfamiliar with Ohio State, block can be a very foreign concept. 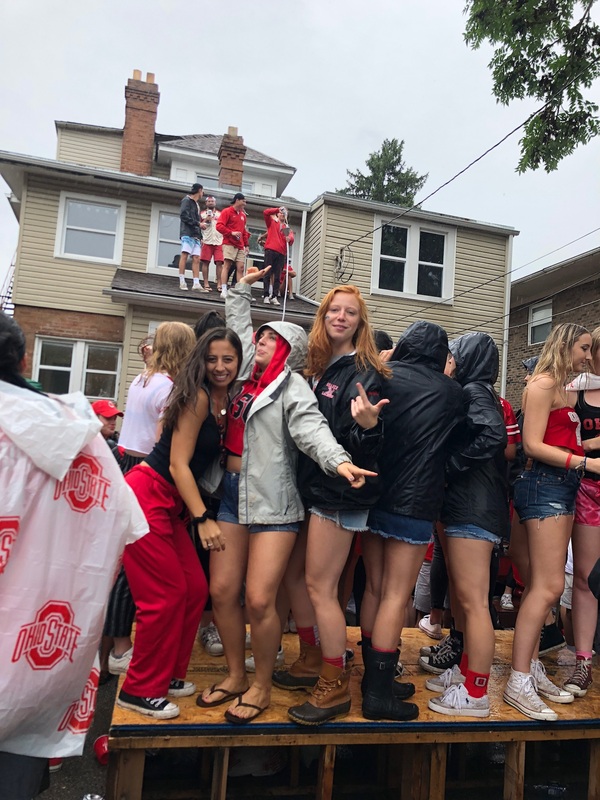 Girls wear their trendiest OSU gear, face tattoos and high-top converse while flocking to a frat house that only serves Natty and Four Loko. Boys just hope they can get in. This event consists of a lot of EDM music and frat boys shaking beer cans to spray all over the crowd. A beer shower. Besides that, I can guarantee you’ll have the time of your life. We take game day apparel very seriously. If you aren’t wearing one of these colors on game day, you need to go home and change. 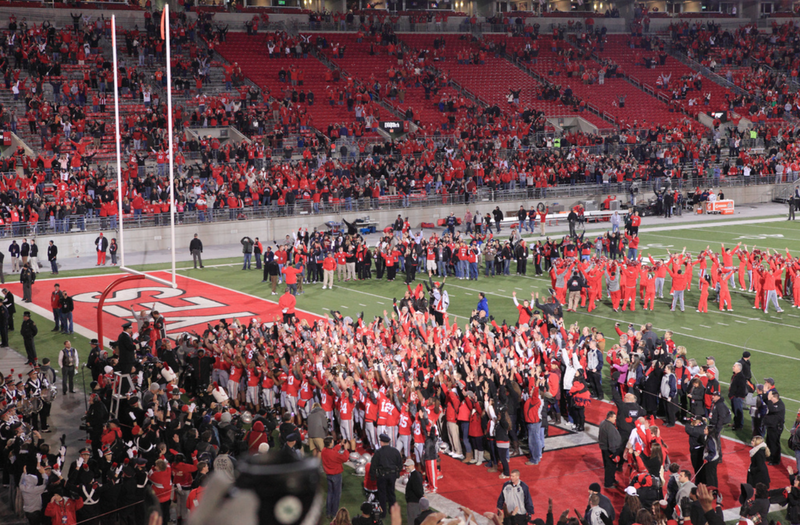 The stadium looks like an ocean of scarlet and grey when all the fans are cheering in Buckeye colors. Although it may seem weird to scream at random people in public, we fully accept and embrace it at Ohio State. If you hear the words “O-H” screamed at you, do not be alarmed. Just respond with “I-O.” This is something all Ohio State fans know and love. A few years ago, I was on top of mountain in Switzerland and saw someone wearing an Ohio State sweatshirt. I shouted, “O-H” and of course received “I-O” in return. As you can see, our rituals prove truly universal. 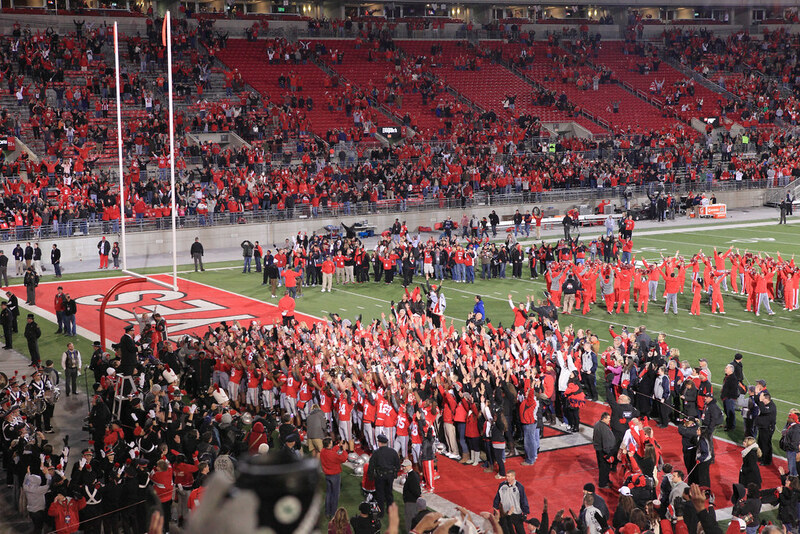 We sing OSU’s oldest school song, Carmen Ohio, after every football game. It really brings home the feeling of community and love surrounding our team. Everyone in the stadium throws their arms around each other and sings, “The seasons pass the years will roll, time and change will surely (truly) show, how firm thy friendship … OHIO!” Hearing everyone sing together gives me goosebumps every time. 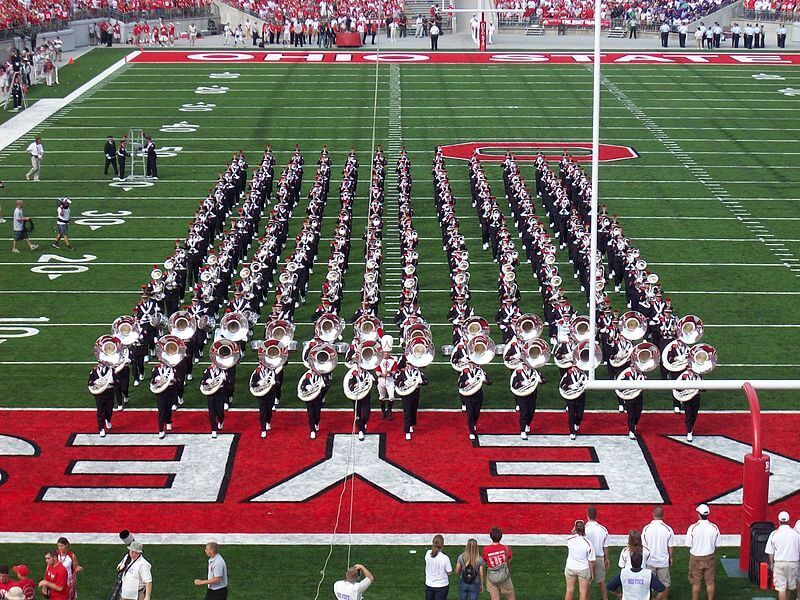 “Hang on Sloopy,” Ohio’s official rock song, gets performed at every Ohio State football game before the fourth quarter. The Ohio State band performed this song at a game in 1965 and it stuck ever since. As the only state in the U.S. to have a designated rock song, our pride to be Ohioans really shows. Usually, fans chant “O-H-I-O” during the song as well. We just really like people to know we’re from Ohio. 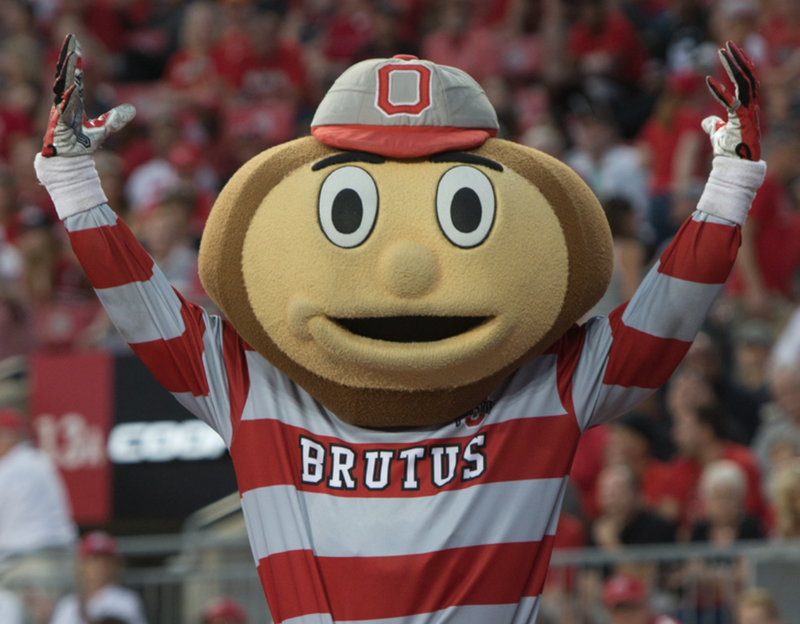 This weird looking, nut-shaped guy, known as Brutus Buckeye, dances his heart out at every OSU game. With the amount of jumping and dancing, the poor guy in the suit must overheat at every game. He also randomly shows up around campus. One time I was actually being studious when I looked up from my computer and to my surprise, Brutus was doing a hand stand right in front of me. I don’t know, but I’m thinking that does not happen at other schools. Fun to watch, definitely not fun to participate in. 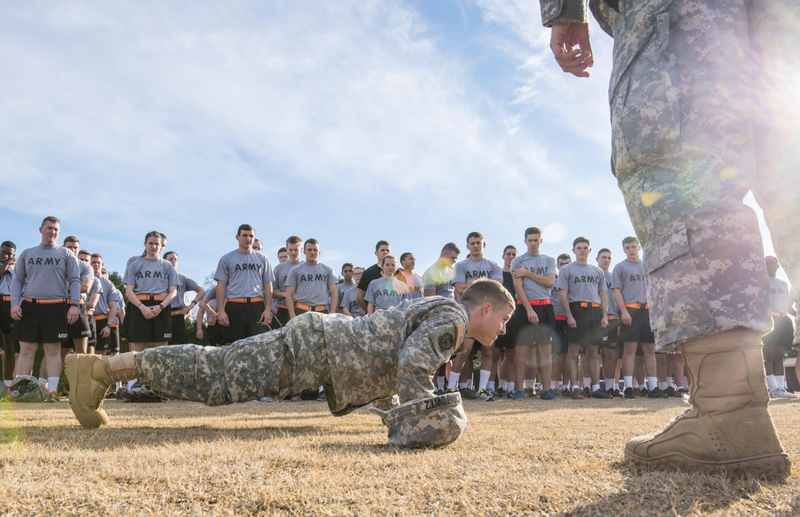 Every time the Buckeye’s score, the ROTC students do as many pushups as we have points scored. For the first score, they have to do seven. For the second score, they have to do 14 and the number of pushups keeps increasing with each touch down. That means if we end with a score of 28, throughout the game the ROTC does 70 pushups total in front of the entire stadium. Talk about dedication and sore arms. This ritual may not fit my style because I usually leave the game for Chipotle in the 3rd quarter, but if you want to be a football groupie, I have good news for you. 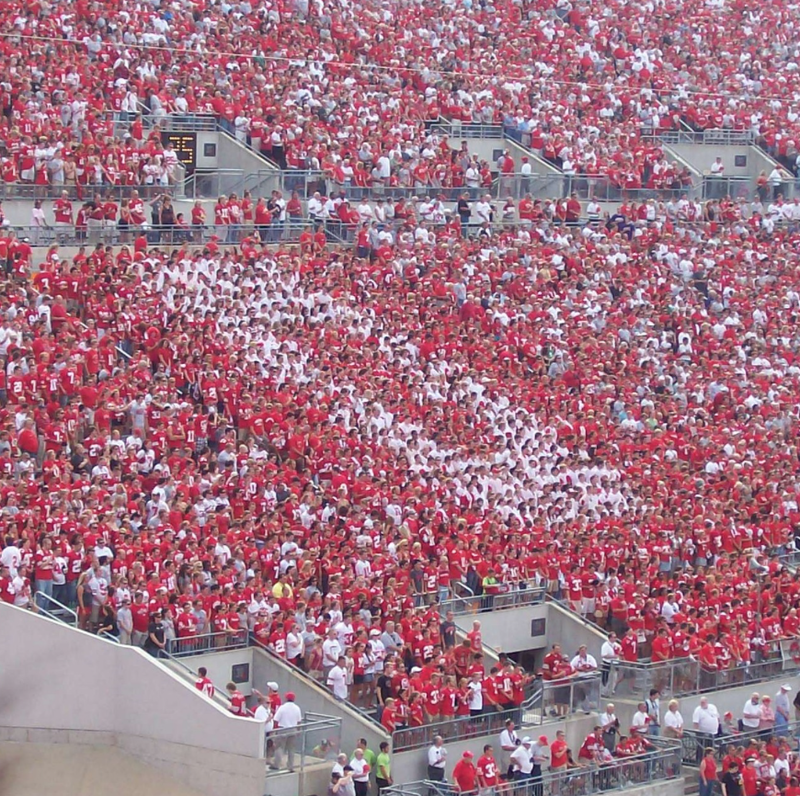 Ohio State has a section reserved for die-hard fans, known as Block O. The people in this section are the most spirited people I have ever witnessed. They live for the game, painting their bare bodies and leading every cheer. They even travel to away games with the team. Unlike your stereotypical band member, taking part in the band at OSU is an honor. People will praise you if you get accepted into the marching band. They perform every game at half time, playing instruments while walking in unison to make shapes. These shapes could be anything from spelling out “Ohio” to outlining a witch on her broom stick. I’m not kidding. Some people come to the game just for the band. 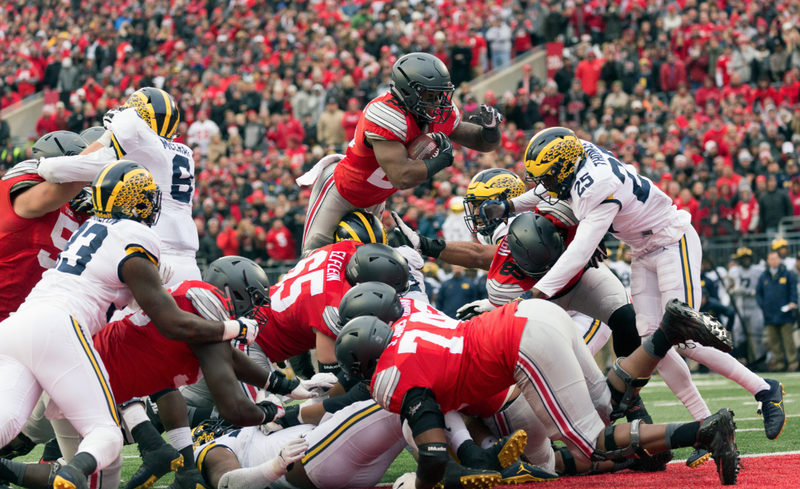 When Ohio State plays their biggest rival, Michigan, all hell breaks loose. Some say this day tops Christmas. Dedicated fans wake up at 5 a.m. to tailgate for the noon game. 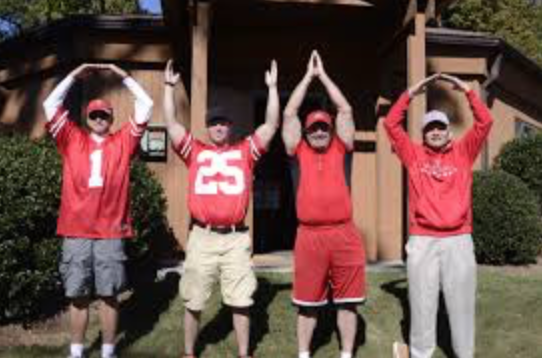 They dress in their finest Ohio gear and ready to beat the team up north. The coolest part about this tradition is walking around campus and seeing all the “M’s” crossed out with red tape. Any building name, street sign or flyer is guaranteed to be marked. As Buckeyes often say, we don’t give a damn about the whole state of Michigan. Jess is a student at Ohio State University studying Strategic Communications, minoring in Design Thinking and Professional Writing. When she isn't editing or writing, she enjoys traveling, spending time with friends and family and watching movies.